I was almost afraid to look at the Office website this week. You see, we’ve just started renovating our kitchen, and it’s proving very, very expensive, which means that new shoe purchases are REALLY not within my budget right now. I’m just going to take a quick second here to reflect on the fact that I’ve now become one of those people who’d rather buy a new kitchen than new shoes. My younger self would be SO disappointed with me right now, seriously. Where was I? 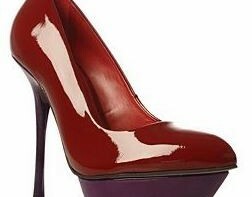 Oh yeah: I was scared to look at the Office website, because every time I do, I end up wanting to buy something from it (Normally another pair of their ‘On to Point’ pumps, let’s be honest…), and I just can’t justify it. Then I DID look at it, and, sure enough, I DID want to buy something from it, but given that the thing (or things, rather) I wanted to buy are only £24, that totally doesn’t count, does it? 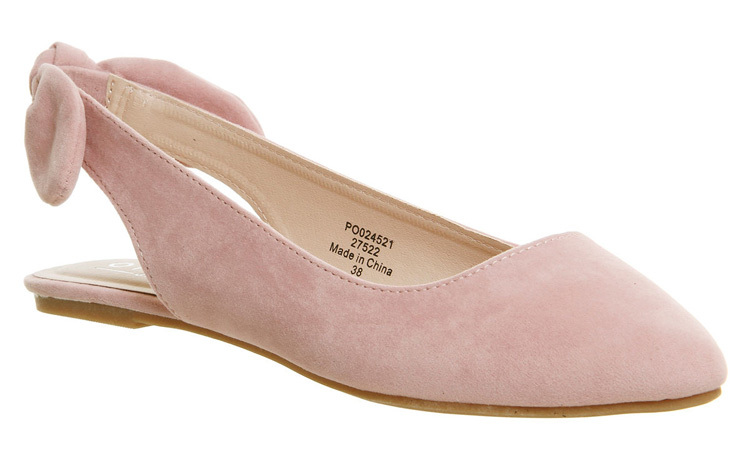 These are, slightly unusually for me and my Office obsession, flats, but just look at how sweet they are? I love the cute little bow on the heel, but I love the soft pink colour even more: it’s a shade I’ve been somewhat obsessed with this spring, and given that I just can’t seem to get enough of it right now, I know that this particular £24 would be very well spent. You could even call it an investment, really, although I don’t think ShoeperMan would quite see it that way, somehow. Still, these are very affordable, and they come in grey and black as well as pink, so if you’re lucky enough to NOT be stuck in kitchen renovation hell right now, and you’re in the market for a new pair of flats, I hope you’ll buy a pair and think of me whenever you wear them!